Your mobile device can pick up signals from a few different networks. When cell phone technology was introduced way back, the world used the 2nd generation network. This network is called 2G and consists of CDMA and GSM technology. This means that if your phone is 2G enabled, you can use a GSM signal booster when you have a weak or low-quality 2G signal. In 1998, 3G saw the light. 3G has two types of technology, namely CDMA200 and UMTS/WCDMA/HSPA. If your phone supports 3G, you would be using one of these technologies, depending on your carrier. 4G, the most recent cellular network, featured the much faster LTE. It stands for Long Term Evolution and was the first technology that was supported by all carriers. Before Voice Over LTE was introduced, 4G LTE was used for data connectivity, while 2G or 3G took care of voice and text communication. If you have a device that supports 4G LTE, you can use this network for all your communications, including mobile data. Cell phone technology is constantly being developed as time goes by. The technology of cell phone networks from the early 90’s is a far cry from the modern technology of 5G networks that we are expecting today. It still seems, however, that poor signal strength and quality is something that will remain an issue for the foreseeable future. A weak signal strength can be caused by three things. Construction materials of your home can reflect a signal off your walls. This is also called destructive interference. The second thing that can be diminishing to signal strength is a long distance between the cell phone tower and your phone. Thirdly, obstructions like mountains or tall buildings located between your device and the tower can also reduce signal quality. Almost all of these bands support 4G LTE with the 850 MHz cellular and 1900Mhz bands supporting G2 and G3 networks as well. It is important to take note of these frequency bands as they play a significant role when it comes to boosting a signal. Higher frequencies carry more data, but lower frequencies have a better ability to penetrate a wall. This means that boosting a lower frequency signal is easier. When you buy a cell phone signal booster, you will typically receive a signal amplifier, an exterior antenna, an interior antenna, and two coaxial cables. The exterior antenna is mounted on the roof. It is connected to the signal amplifier in your home, and the signal amplifier is, in turn, connected to the interior antenna, which should have a central position on the inside of your home or office. The exterior antenna sends and receives signals from the nearest cell phone tower. This antenna can be omnidirectional or directional. A directional antenna can, in some instances, provide you with a better signal since it faces a specific tower. These outside antennas can have a high gain or a low gain. High-gain antennas are mainly used to increase a signal that is weakened by a long distance between you and the nearest tower. Low-gain antennas specialize in picking up signals from towers that are close-by, but that may be diminished by large environmental obstructions like buildings or mountains. Most antennas have an adjustable gain and don’t require from you to choose one. This is especially helpful if you live in a mountainous area with no cell phone tower in the vicinity. The strength and quality of the signal that the exterior antenna picks up and sends, is one of the prominent determinants of how strong the amplified signal in your house will be. The more the exterior antenna has to work with, the better your amplified mobile network signal will be. The poor signal that has been picked up by the exterior antenna flows through the coaxial cable to the cell phone signal booster. This is where your one bar is boosted into 5 bars. The signal amplifier then passes the boosted signal to the interior antenna. Amplification happens in two directions as the signal that is sent back by the exterior antenna is also amplified. 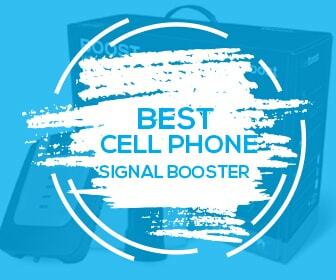 The cell phone booster has to be compatible with a network in order to boost its signal. It also has to work with different carriers. If a cell phone signal booster is only designed to boost 2G and 3G signals, you won’t be able to receive 4G LTE signals, which can, in some instances, defeat the purpose. The indoor antennas broadcast the signal that it receives from the cell phone signal booster via the coaxial cable. The specifications of the interior antenna determine how big the area is in which a device will access an amplified signal. This area can range from 500 square feet to 25,000 square feet or even larger. You can add antennas to cover an entire building, but it is important to connect the antennas with coaxial cable since this is a better and more effective way of delivering a signal. This means that if you have an interior antenna that covers 1,000 square feet, you can cover an area of 10,000 square feet with 10 connected antennas. Do some research to determine if more antennas will be more affordable than only one with a broader broadcasting range. There are two types of antennas: dome and panel. Dome antennas broadcast the amplified signal in all directions where panel antennas have a signal output in the form of a beam. This means that panel antennas can be put to better use in rectangular areas like hallways. The biggest benefit of these antennas is that they provide an amplified signal to many different users in the area via a wireless connection. The alternative to a wireless antenna is a cradle. Cradles only provide a boosted signal to one connected device. 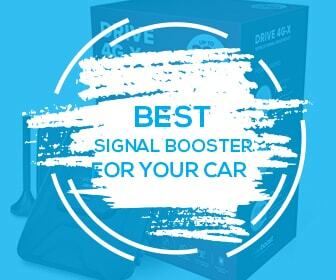 The biggest benefit of boosters that use a cradle is affordability, and if you live alone or you need to boost the signal for one stationary device, this will be the best option for you. One of the most common places to run into cell phone reception issues is in your car, especially if you are driving between towns or cities. An LTE signal booster for a vehicle works on the same principles, but there are certain differences when it comes to things like power supply and antenna reception. Most cell phone signal boosters that you can use inside your vehicle features a roof antenna that sends and receives signals from the nearest towers. High-end kits will feature antennas with adjustable gain to allow them to constantly search for and find the strongest signals with the best quality as you are driving. The boosters make use of your car’s onboard power. The Best signal boosters that are designed to provide a bigger vehicle with wireless amplified signals can sometimes only be used on vehicles with a 120 Volt outlet, while others will work with a vehicle’s lighter socket. Many signal boosters for cars will make use of a cradle as a way to distribute the amplified signal to a device. If you drive alone to and from work every day, this may be the most effective and affordable way to get the strongest signal for your phone. If you usually travel with passengers, however, rather consider a kit that includes an interior antenna for multiple wireless connections. Cell phone signal boosters can eliminate dropped and missed calls completely. It can enhance your data connectivity significantly and allow you optimal use of your mobile devices. 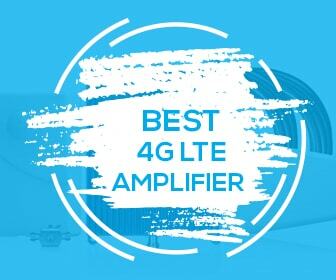 Rather than limiting yourself to only one network or before switching carriers or devices, consider a signal amplifier as a solution to your poor connection. More often than not, versatility is not the biggest consideration when shopping for a cell phone signal booster. This is because you generally may have good coverage apart from maybe in one or two rooms. Before buying a cell phone signal booster, make sure where your signal is lacking, and make your purchasing decision accordingly. There are high-quality boosters out there that are affordable and easy to setup and use. Always try to find a booster that is enabled for more than three frequency bands and that provide you with at least 2,000 square feet. If you need coverage for a bigger area, you can always add coaxial cable and interior dome antennas. Also, make sure that the booster supports the network that you mostly use, as well as 4G LTE since this will allow you some elbow room when you want to upgrade your mobile devices.